As a physics and math teacher, my entrance into politics was motivated in part by my desire to do better by our children. Education represents the largest share of the state budget and the biggest impact on communities and economy. I have the expertise and leadership to be an effective advocate for solving our education challenges. As a southern Arizona native, I also care deeply about the region. Serving in 2015 and 2016, I have a record of solving problems and protecting the interests of the people and communities I represented. As a career educator with 18 years in Arizona classrooms, I understand first hand the impact of low teacher salaries on retaining and attracting qualified educators. I support the effort to raise Arizona’s teaching salaries. The Arizona public school finance system is too complicated. Over the past few decades, the legislature and the voters have enacted a multitude of measures to support public schools without addressing the underlying funding structure. This has led to confusion and mistrust by the public, especially when school funding figures are spun to further political agendas. In an open and honest conversation about how Arizona can meet its constitutional obligation to provide for public education, no portions of the current system should be held sacred. However, this can only be accomplished if all stakeholders can trust that everyone at the table is dedicated to the goal of great public schools. I do not believe that the second amendment allows the state government the power to regulate private party gun sales. I am open to discussing solutions to other issues, such as bump-stocks or minimum purchasing age, so long as they are not an attempt to curtail second amendment rights. I support increasing the number of school resource officers and counselors. With more officers and counselors, there will be a greater chance to intervene before a student commits an act of violence against themselves or their peers. Reducing the student to counselor ratio will also improve the school environment and educational opportunities. I support giving law enforcement, healthcare providers, and school administrators more resources and options when dealing with individuals struggling with mental health issues. Furthermore, I support improving systems of reporting and responding to concerns identified by educators and healthcare workers. However, I stop short of giving those outside law enforcement the power to starting formal legal proceedings. The tax structure in Arizona needs to be addressed comprehensively. I would not advocate any tax cut or increase in the abstract. I believe Arizona needs a simpler more transparent tax system that provides dedicated funding sufficient to meet the needs of vital State programs. This is an issue that will ultimately be decided at the ballot box. I see convincing arguments on either side. Prohibition general does not work, but neither does ignoring the societal consequences of drug use. However, as a career educator, I take issue with promoting efforts to legalize recreational use as a solution to our education funding issues. All life is sacred. As one with deeply held moral beliefs on the subject, I do not find the current restrictions unreasonable. Arizona needs to take swift action to avoid a water shortage by meeting with the other lower basin states, reevaluating the distributions set by the 1922 Colorado River Water Compact, and working with our neighbors on both sides of the border to achieve a new agreement to get a lasting safe yield from the Colorado River that will benefit all stakeholders. I would support a ban on discrimination in public accommodation and public retail. While I support anti-discrimination rules in public accommodations, I am opposed to anyone being forced to apply their creative or professional skills in service of causes that they have a religious or moral objection too. Of the three things needed to attract and retain business; capital, management and labor, the State can have the largest impact by supporting efforts to ensure a qualified work force. Supporting options for CTE both at the K-12 and community college level must be among the top priorities. We must also create an environment that will encourage employers to locate in Arizona with confidence that the State in cooperation with other jurisdictions will maintain stable and least restrictive regulatory processes. I am opposed to expanding eligibility for ESA’s beyond students with special needs and circumstances. While I support having educational options, including open enrollment, a healthy charter school system, and individual tuition tax credits, the current structure of ESA’s is incompatible with our current public education funding system. Expanding ESA’s will increase the cost to the State while at the same time decreasing local school revenue. I support repealing the recently passed eligibility expansion to ESA’s. The state should work in cooperation with federal and local law enforcement to support border security efforts. Efforts to address sexual harassment, particularly in the workplace, must be ongoing. One of the issues the legislature has struggled with is the need for infrastructure repair and improvement outside the major metropolitan areas. Often these infrastructure needs have regional or statewide impacts yet are beyond the local communities’ capacity to maintain. Access to affordable health care. Arizona must work to find a sustainable solution to providing access to health care for low-income families without overburdening those middle-income families through cost shifting and unaffordable insurance premiums. Over the past six-years serving as an Arizona State Representative, I have been successful in bringing ideas from southern Arizona to the Capitol because that is what we need a little common sense and straight from the heart .Serving as the State Representative for LD 2 has taught me to be humble because I have met the real heroes in our community; it has made me smarter because I have learned there is so much that I can learn; and it has taught me to appreciate our community, because I have had the opportunity to meet you. I learned a lot more by listening than I ever did by speaking, so don’t be surprised when I want to hear about you and your needs. I did not support the Governor's budget regarding public education. It left students behind, fails to adequately and sustainably fund public education, and falls short of providing the schools Arizona students deserve. While this bill may have moved the needle, it still did not go far enough. It does not restore the up to $1 billion taken from our students and it leaves out school support staff like counselors, bus drivers, librarians, and many more who are vital to the success of our students. The state must re-evaluate all of the corporate tax cuts that have been passes and access whether or not they are still beneficial; further, we cannot pass any additional tax cuts until we can fully fund our schools. There is certainly room for more accountability and transparency within the Charter School system, too often charter school are created with little oversight using taxpayer dollars. This has led to a number of scandals, and students and parents being misled. Charter schools should be held to the same standards as public schools if they wish to receive taxpayer dollars. We have witnessed too many mass shooting and have seen the devastating effects on families and loved ones. It is beyond time for our State to act by banning bump stocks, military-grade assault rifles, and closing the gun show loophole by enforcing universal background checks. No parent should have to fear that their child won't come home due to gun violence. It is time for us to act by to protect our communities. We can begin by passing common-sense gun laws that prevent students and would be criminals from having access to a gun as listed in the previous answer. Further, we need to have more school counselors available to students who may be suffering from a mental health issue. I would not support increase tax cuts; the state of Arizona is in desperate need of more funding for our schools. Arizona already has many tax breaks and incentives for business and individuals, at this point, it is critical that we restore education funding to pre-recession levels so that students in Arizona can compete in our growing economy. Marijuana use is an issue that needs to be addressed in our state, and I would support legalizing recreational use. Arizona suffers from high incarceration rates, where non-violent offenders are jailed alongside violent offenders, which can lead to high recidivism rates. This places a burden on our law enforcement and a financial burden on our state. We need our officers pursuing violent offenders and keeping our children safe. The restrictions placed on abortions clinics in Arizona are part of an attempt to reduce the number of women's health clinic that provides necessary services for women throughout the state and is an infringement on a constitutionally protected right to abortion. By increasing restrictions and not requiring the same level of oversight for crisis pregnancy center, the women's health is put at risk. Arizona must all come together – Republicans and Democrats – and find a long-term solution to Arizona's water needs. We have a great history of making smart, bi-partisan water policy, and our future depends on it. Yes, for too long the LGBTQ community has been persecuted based on their identity and who they love. This must stop, and I believe Phoenix has an excellent nondiscrimination ordinance that could be replicated across the state to protect the LGBTQ community. Any form of discrimination is unacceptable. The United States was founded on the belief of religious freedom for all, where all may worship or not worship based on their individual beliefs. Therefore, I would never support a law that goes against our fundamental values as a country and as a state. Everyone should be welcomed into any establishment if they are a paying customer. Building a sustainable economy starts from the bottom up. We must improve our education system, ensuring that every student can compete in a changing economy. The legislature can make a direct impact by adequately funding our public schools, and by creating programs that make trade schools and community colleges more affordable. It is also essential that we maintain the minimum wage and sick leave standards approved by voters through Prop 206. I firmly believe that taxpayer funds should be used to improve our public-school system and ensure students receive the resources that they desperately need. ESA's take money out of the state's education budget to help subsidize private school tuition. I support a parent right to decide where their student goes to school, but individual choice should not infringe on the decisions of others. When the government sends tax dollars to private schools, children in public schools lose resources and cannot succeed. Further, I support repealing the ESA program and will be voting No on Prop 305. As stated above I support the measure and will vote No to repeal the Empowerment Scholarship Account program this November. Mexico and Arizona share a highly unified economic relationship. Economic benefits to both are wide-ranging. Mexico also influences Arizona's economy through tourism in the same way that Arizonans play a role in Mexico’s economy. Our relationship with each other is the degree to which Mexico’s impact on and within Arizona has grown in importance. I live close to the border and feel safe. Putting money into building a wall is not needed. Those funds should be used for more needed services. This year we made strides in improving the work environment at the state legislature; however, we have much further to go. Sexual harassment training is, but we must also insist on respecting women as a whole. Too often women are not respected and are dismissed in committee meetings and debates. Harassment or discrimination of any kind is not acceptable. Funding to the Arizona Department of Environmental Quality. Educating legislators on how important this State Agency is. We must continue to protect Arizona’s most precious resource. Water is of state-wide importance. We, as the legislature have the obligation to be stewards of our natural resources, most importantly, water. I have spoken about the legacy that we have inherited as a leader in responsible water management. Arizona is the national leader in water management and our Groundwater Management Act is an example of the great foresight of our leaders of the past. Our forbearers realized the importance of water to our state’s success and lead the state to ensure that we have a sustainable future when it comes to water. Arizona has an opportunity to address water sustainability by coming together to address the DCP. I've been on a school board for 7 years in the Sunnyside School District and have seen first hand the devastation wrought by irresponsible legislators more concerned with their pledge to Grover Norquist then the needs of the state. While I would have been willing to support the plan it is incomplete without new revenue. And I could not support a plan advertised by the majority as fiscally sound and not raising taxed meanwhile it raises property taxes on my constituents in the TUSD school district by roughly 9%. Like the 500+ educators that I've met with this year I think this plan is a step in the right direction but insufficient. There are many different ways to increase revenue to support our schools. And it is not merely about funding the money used for Maintenance and Operations but also looking at the Capitol needs of our schools. In lifght of the recent Quill decision I think we need to take a hard look at taxing good purchased online. We must also assess which of the 300+ Tax Exemptions make sense. We also need to start working on what the future of Prop 301 looks like. I would favor re-authorization and expanding it to a full penny. But we would also need to ensure we close loopholes and determine which tax credits are draining too much money from the general fund. Charters school are public schools. They are funded using tax dollars like traditional public schools. I am concerned however that there are not the same requirements for procurement that there are at every other publicly funded agency and institution. I also am uneasy about the auditor general not having the same ability to monitor charters that they have of traditional public schools. While I can understand some flexibility particularly on the delivery of instruction and teaching I am wary that a few bad apples in make it harder for all others in the charters schools. We should examine which measures can be put into place to protect the schools, students and tax payers. Due to my background as a gun violence survivor I am in favor of trying to promote laws to reduce gun violence. 1st we need to close the loopholes that exist for buying firearms from private sellers. We must ensure that every firearm sold in the state of Arizona should be subject to a Background Check. 2nd. We need to pass red flag laws to temporarily remove firearms from those who may be a danger to themselves or others subject to judicial/law enforcement review. 3rd we need to eliminate accessories that change semi-automatic firearms to resemble automatic weapons. As I stated in my previous answer there are steps that we can take immediately to help reduce gun violence in Arizona. Additionally for school safety we should examine emergency planning at the school level. Establishing guidelines for emergency response in coordination with law enforcement can help in crisis situations. We also need to fund mental health counselors at our schools who can help raise flags when a student needs additional mental health help. We should also fund a grant program where schools can apply if they feel that School Resource Officers make sense. As a legislator I want to see a balance of funding state priorities and low taxes to support the working and middle class. I am not opposed to all tax cuts but I do think before we cut any additional taxes we review our overall taxation system. This includes but is not limited to examining tax credits, tax exemptions and other programs have eliminated things like state wide property taxes. It is concerning when we cut at the state level and shift costs to the local level resulting in a lower "state tax rate" but higher local/county tax rate. Yes. The criminalization of Marijuana has put too many people in the criminal justice system. We should look to our neighbor Colorado where they have created additional revenue and have not seen any noticeable growth in car accidents, youth usage or other things opponents warn about. We can regulate this responsibly and create additional revenue. Absolutely not. Our laws passed as measures to "protect women" have had the opposite impact. Abortions provided by trained clinicians are amongst the safest medical procedures done in this country. TRAP laws (Targeted Regulation of Abortion Providers) make it harder for women seeking health care that is constitutionally protected. I've fought against laws making it harder for women and consider the legislature's assault on women to be one of the most concerning things happening in Arizona. As legislators it is not our jobs to get between a woman and her doctor. If we spent as much time attacking women and their rights as we did on say gun violence prevention we would be in a much better place. We should examine our plans to encourage water reuse and recycling. Additionally we need to prepare for restrictions and regulations on water usage in the case of drought. We also should ensure that water policy is not muddied by politics and that at no point power over AZ's water policy be handed to political appointees regardless of who is in the governor's office. I am one of three openly LGBTQ Members of the House. I am also the Prime Sponsor of the first ever Bi-Partisan Employment Non-Discrimination bill in AZ history. Ensuring that all Arizonans are treated equally does not create a burden nor does it make others have less rights. Equal protection under the law is something we should have for all Arizonans. No. This is bad for business and bad for Arizona. There are several steps we can take. 1st create an environment that embraces new sources of jobs. The Tech Industry, Bio Tech and international trade should join the traditional 5C's of Arizona's economy to ensure we are prepared for the jobs tomorrow. We should also invest in our community colleges and career and technical trainings jobs to prepare a work force for jobs of the future not just minimum wage employment. I adamantly oppose ESA expansion. I am worried deeply about money being taken out of public education and being used for private schools which are not accountable to any degree at the state level. I am in support of repealing the expansion of ESAs. I fought against the expansion on the floor and continue to oppose their growth. None. This is a federal responsibility as a Representative of a border district I hear from and see how safe our border communities are due to great work by local law enforcement like the Marshall in Patagonia and Sheriffs in Santa Cruz County. Giving some credit to current speaker we did make strides but the larger issue of culture change at the capitol still has a lot of room to go. I think far too often things can be waived off as being "just a part of the job" but we have a responsibility to ensure no one is allowed to behave in a way that puts others at risk of being sexually harassed. Poverty is the largest issue we have not addressed as a state. We have the country's 5th highest poverty rate. This is an issue that is cross cutting it impacts health, education and general quality of life. Food insecurity, lack of access to basic needs means Arizonans at the very bottom are unable to move up the economic ladder. See above response on poverty. This is a crisis that impacts the entire state from our tribal nations to urban centers. Yes. Teachers need pay increase. I support school teacher pay increase but with accountability on school district governing boards on making sure funds intended for teacher pay do make it to teacher pay. All schools should be required to be accountable with our public funds. I support current law and support resources officers on campus. 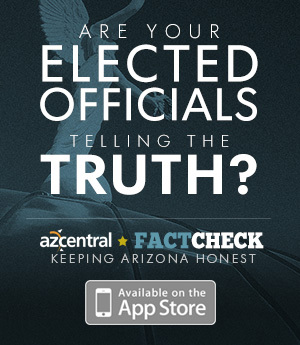 I do not support any legislation that violate constitutional rights of Arizona residents! Yes. I would like to reduce income tax. More study needs to be done. Currently do not support. As am Employee at a DoD Contractor, I am required to submit to drug tests. Tests that puts employment at risk if marijuana was detected. These tests include findings from habits from 10 years prior. Alcohol and marijuana don’t have the same life long lasting impacts. I would like to see more studies done to get a better understanding. No. I believe abortion should not be funded by public funds or facilities. I believe Desalination would be a good risk mitigation for our water shortage when and if we reach that point. I believe all citizens have the same rights. To customize laws for specific class of group would be unamerican. Yes. In most cases business owners have a private right and their running their business for profit. In most cases, for profit, businesses tend to adjust to respect all paying customers. I support voucher program. It’s constitutional. I would present it! We are elected officials representing residents of our district. Socialism and unamerican views taking seed in our lawmakers judicial offices!